Your employees will need to be able to walk to and from different areas on the site safely. Workers carrying materials like lumber and steel, or waste, need to be able to travel through passageways and stairways without the fear of trip or slip hazards. Electrical cords, protruding nails, and excess materials not properly stored can start to pile up; Keeping these areas free from obstacles is crucial for the wellbeing of your employees. Surfaces are just as important; Not letting dangerous equipment or tools, waste, and debris pile up haphazardly on workbenches, counters, or tables will keep productivity flowing and your team safe. Waste management on the property of a construction site can be a huge job and also a health risk if left undone. 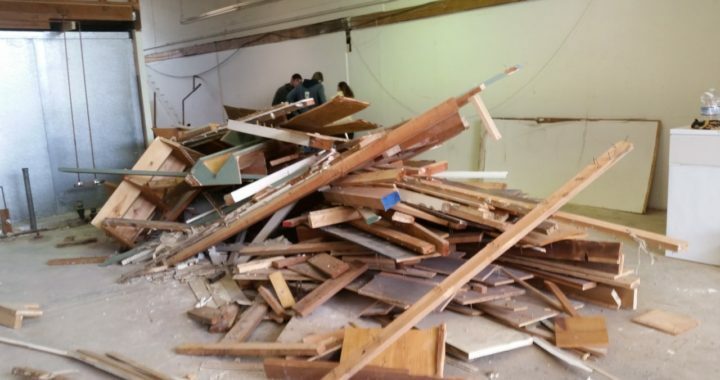 Making sure everything is in its place on top of discarding trash and leftover materials will be imperative to the advancement of your project. Waste maintenance isn’t just for preventing setbacks, certain materials commonly found on construction sites can be highly flammable. Litter such as paper and cigarettes, wood, exposed wires, flammable liquids, oily rags and batteries from wireless power tools are a few of the many dangers that can be found on your site. At Cleanstart, we understand the significance of a clean and orderly construction site; that it’s not just for appearances and morale but for productivity and worker safety. Keeping high-trafficked areas risk-free, maintaining proper waste disposal, and a spotless post-construction cleanup will be integral to a smooth construction project. 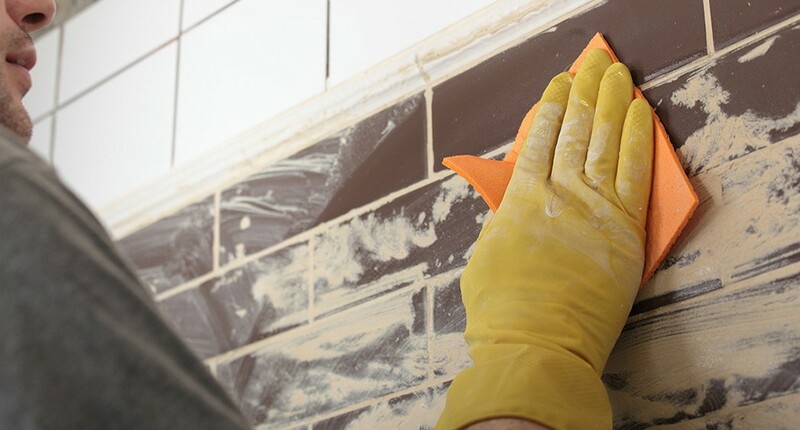 Now that you have invested so much time, money and effort into remodeling or building your new office space or facility, we’re certain you’ll want its final presentation to be clean and beautiful. The construction itself might be finished but there’s still a lot left to do to make your project presentable. Making sure everything is left immaculate is a final critical step in truly finishing the job. Any lingering debris, litter, scraps or remnants of the build will be properly discarded. Surfaces need to be thoroughly cleaned using microfiber cloths, industrial grade soap, and top of line disinfectant. A LOT of dust and fine grit, primarily from the drywalling process, land on surfaces. For the place to be presentable and ready for occupancy, all of it needs to be removed. Windows will need to be pristine from grime, fingerprints, and filth utilizing our industrial glass cleaning expertise. 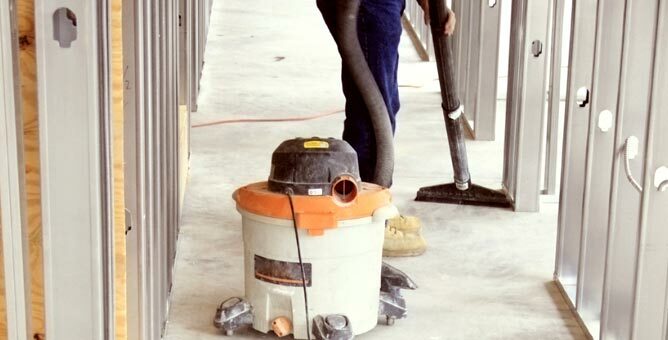 Floors will need special attention, power washing, high-filtration vacuums, and analyzing the correct approach to cleaning specific floor materials such as, but not limited to, concrete, tile, carpet, wood, and marble. Don’t move in until Cleanstart provides the after construction clean-up that is required. We pay special attention to the fine details such as trims, horizontal ledges, baseboards, light fixtures, and much more. After we’ve cleaned your facility, you just turn the key and you’re ready for business. Contractors throughout the Seattle metro area rely on us to remove dirt, dust, and debris that construction crews leave behind. We do the elbow grease so that you can get back to business! Dust removal from ceiling pipes, ductwork, vents, light fixtures, etc. Cleaning insides of desks and file cabinets. Scrubbing floors and tiles, polishing stainless steel, wiping walls and more. Stain removal, scrubbing, dusting, and vacuuming of all surfaces including trim work and office furniture. Window and glass cleaning – scraping and etching removal. Our top priority is ensuring the final result you’ve envisioned. When we are finished with the job of post-construction cleanup, your facility will be ready for move in and set up. 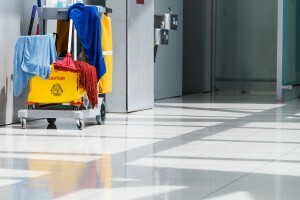 We can also provide a strategy for an ongoing, regular cleaning and maintenance program to keep your facility looking its best day after day, year after year! 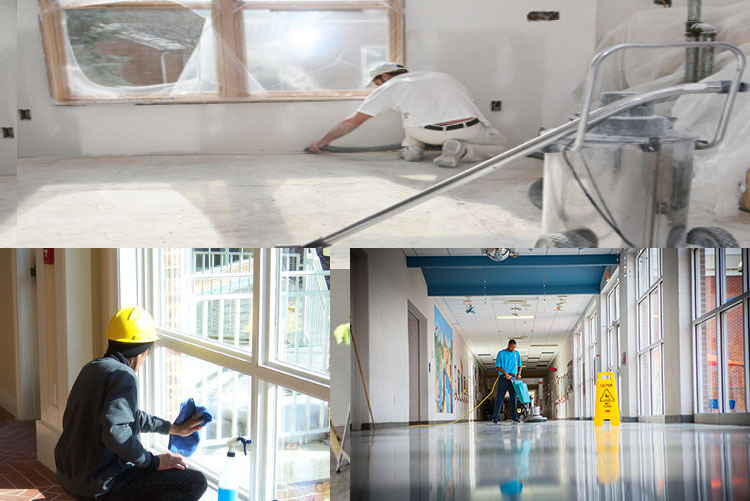 At Cleanstart, we have the resources needed for your facility during the construction phase and post-construction cleanup and understand the attention to detail that must go into every cleaning performed.